And like all Radial products, the J48 is both feature-rich for studio and made tough to handle the road. 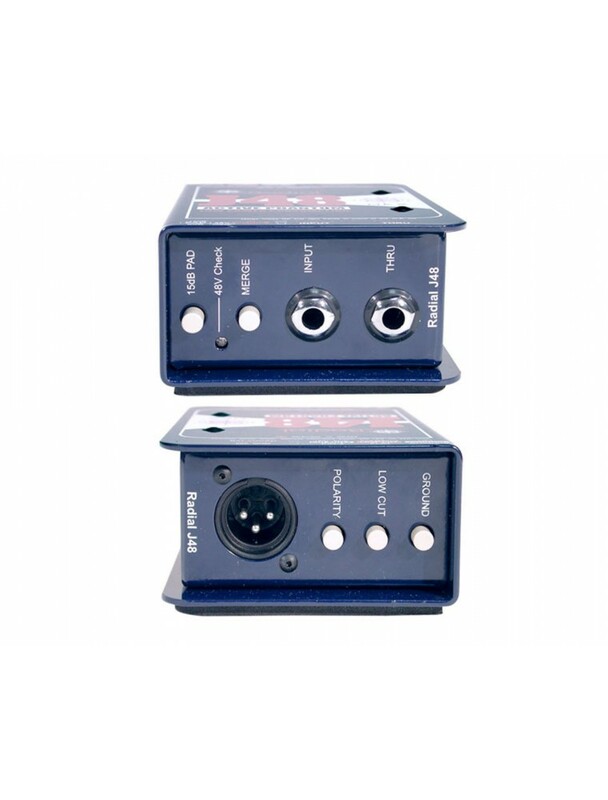 This includes a -15dB input pad to tame extra loud signals, 180° polarity reverse for feedback control on stage and a ground lift to help reduce hum & buzz caused by ground loops. Special features include a merge function that elegantly mixes left-right signals to mono without phase cancellation. To minimize resonant feedback with acoustic instruments, the J48 is also equipped with an 80Hz high-pass filter (low-cut). When engaged, this also increases headroom by eliminating unneeded bass frequencies. 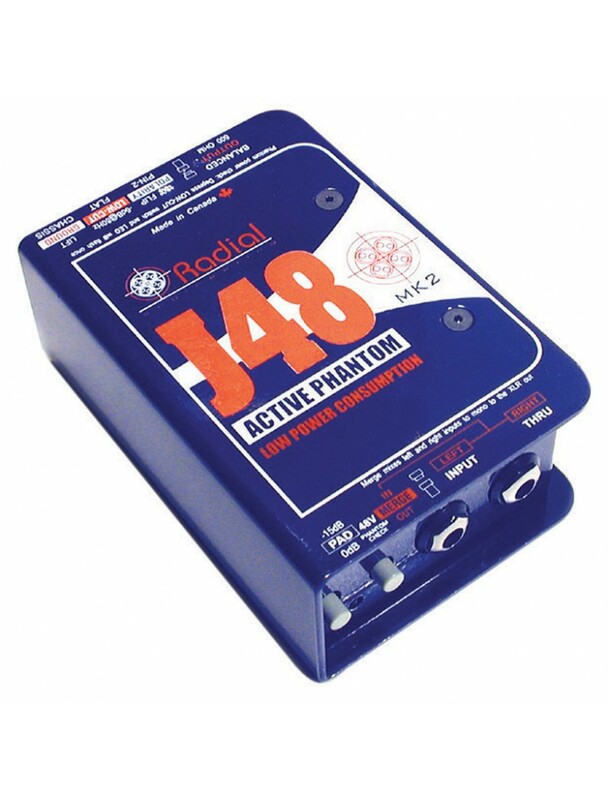 The Radial J48 is used by artists as diverse as acoustic guitarist Tommy Emmanuel; super-star engineer Joe Chiccarelli; and one of the most successful bands of all time, Fleetwood Mac. 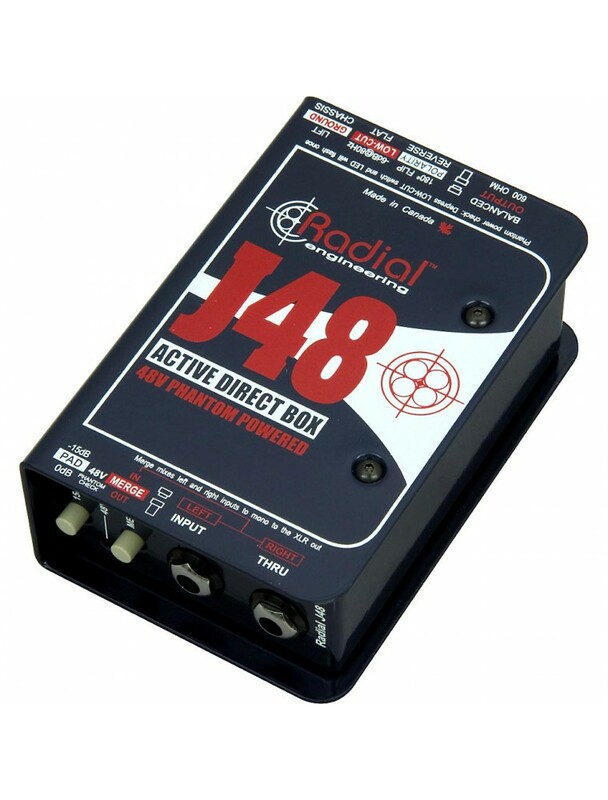 The Radial J48... the world's finest 48V phantom powered active direct box.